Whoever goes to the Balearic Islands in Spain, might find this great "Submarine Totem" while they are snorkeling. Ruben Sanchez decided to built this Totem, it's his tribute to the island where he likes to go every year, to disconnect from the world. Only using materials from the surroundings, so aquatic animals don't feel it too intrusive. An amazing idea, only a very few amount of people will be able to see, but i'm sure it's worth spending some time underwater looking for it. 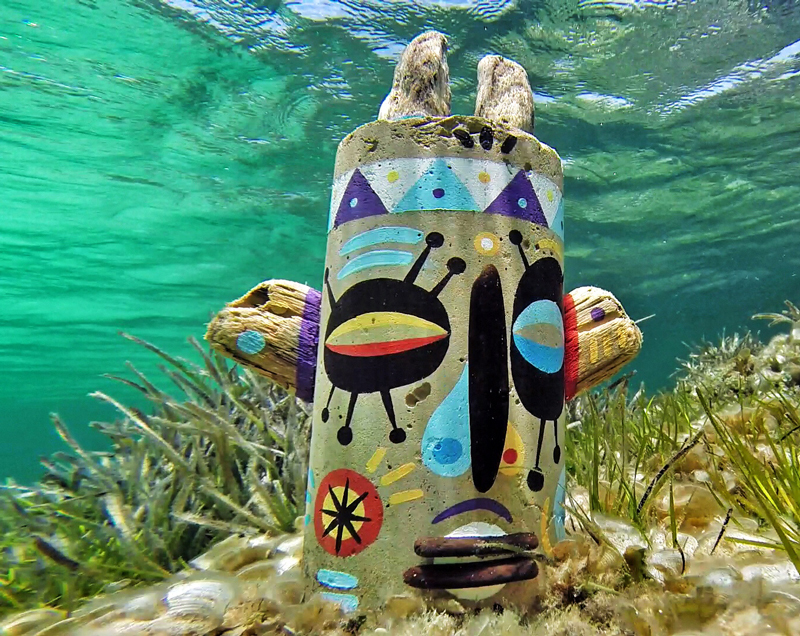 "Underwater Totem" by Ruben Sanchez.